Jason Hartman is joined by CEO of Clover Asset Management in the Cayman Islands, Eric St-Cyr, to discuss three major topics that will drive the global financial market over the next ten years: Population growth, Debt and Inflation. Eric shares his views about our aging world and the huge shift that is going to take place with asset shortages, such as food, oil, and housing. He also discusses the world’s debt load and rising inflation, how people should invest in those conditions, and his favorite trade going forward. Eric St-Cyr brings over two decades of management experience in global and offshore financial markets to his role as Founder and President of Clover Asset Management. He founded the firm in 2007 with the goals of offering expertise, Freedom, and Peace of mind to investment clients. He is also a regular contributor to MarketWatch. Before founding Clover Asset Management, Eric was the General Manager of Guardian Asset Management where he led the management of ten mutual funds. Previous to this he was Senior Vice President at CIBC/ TAL Global Asset Management, one of the largest asset management firms in Canada with assets under management exceeding USD$60 Billion. 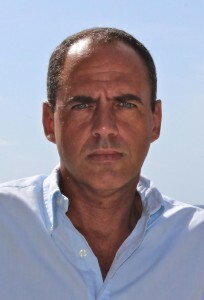 Eric also spent a number of years leading TAL’s Cayman Islands office as Managing Director, where he was responsible for the portfolio management and growth of the business. ANNOUNCER: Welcome to the JetSetter Show, where we explore lifestyle-friendly destinations worldwide. Enjoy and learn from a variety of experts on topics ranging from upscale travel at wholesale prices, to retiring overseas, to global real estate and business opportunities, to tax havens and expatriate opportunities. You’ll get great ideas on unique cultures, causes, and cruise vacations. Whether you’re wealthy or just want to live a wealthy lifestyle, the JetSetter Show is for you. Here’s your host, Jason Hartman. JASON HARTMAN: Welcome to the JetSetter Show! This is Jason Hartman, your host, where we explore lifestyle-friendly destinations worldwide. I think you’ll enjoy the interview we have for you today, and we will be back with that, in less than 60 seconds, here on the JetSetter Show. ANNOUNCER: Now, you can get Jason’s Creating Wealth in Today’s Economy Home Study Course! All the knowledge and education revealed in a 9-hour day of the Creating Wealth Boot Camp! Creating in a home study course for you to dive into at your convenience! For more details, go to www.jasonhartman.com! JASON HARTMAN: It’s my pleasure to welcome Eric St-Cyr to the show! He is the CEO of Clover Asset Management Ltd., and he is coming to us today from the very famed Cayman Islands! Eric, how are you? ERIC ST-CYR: I’m great! Thank you for having me today. JASON HARTMAN: Well good, the pleasure is all mine. We’ve had Josh on the show before, from your company, and we want to talk today about three major topics that will impact investment pretty dramatically over the next decade. And that is population growth, debt, and inflation. Let’s dive right in and get your thoughts on these. ERIC ST-CYR: Well, we do believe those will be the key drivers over the next ten years, and any investors that are looking forward need to take them into consideration. World population, we take the most positive of them; it’s pretty easy to look at it. For anybody that dies today, two people are born. So there for, the world population is growing exponentially, and there’s more and more people out there to consume goods. But if we dig into the world population, we also see some different characteristics than what we’ve been using over the last few years. First of all, the world population is changing rapidly. In developed countries, you will soon have 30% of the world population, which will be over 65 years old. Therefore you will have a change in consumption patterns. I’ll give you an example that will get a little bit funny. In Japan this year, it’s the first year that they will sell more adult diapers than baby diapers. JASON HARTMAN: Boy, that’s a switch, isn’t it [LAUGHTER]. ERIC ST-CYR: So you can imagine, the grocery stores do not pack up the same stuff as they used to do. And if we keep looking at the world population, apart from aging, you also have a major shift into the middle class. So, the world population is aging, but you also have the growth of the middle class. We expect the middle class to double in the next 25 years. That means, in the 70s and the 80s, the population was also growing quite rapidly. Either most of the population was growing in extreme poverty, so, the impact on the global economy was quite limited. Today, with the emergence of China, and soon to be so with Indonesia, Malaysia, and India, and the other countries, Brazil, Russia, and India, you will see much more demand for goods. So, the world is aging. It’s aging in developed countries, but it’s also aging in the emerging countries as well. We expect to have 1.2 billion people over 65 years old in the next few years. JASON HARTMAN: Yeah, that’s a big shift. Dive into that middle class increase in population a little bit. You said it would double over what period? ERIC ST-CYR: Over the next—well, we expect it to be doubling by 2025. So, now it’s—so, from 2000 to 2025, it’s more than doubling. But the trend is continuing, so with every 25 years—so, from 25 to 50, it would double again. JASON HARTMAN: Yeah. In the next, basically, 12 years, then, it will double. And what are the numbers now? Of course, it’s a little bit of a fuzzy target, because it depends what we consider middle class. How many are in that middle class number now, and how many by 2025 in the next 12 years? What’s the number on that? ERIC ST-CYR: Well, we have about 2.8, 2.9, in the middle class. And you’re right to say that it’s a moving target. JASON HARTMAN: You’re saying 2.8, 2.9 billion people? ERIC ST-CYR: Billion, that’s correct. And we expect to be past, I would say, 5.3, 5.4 by 2025. JASON HARTMAN: Wow. That’s a big number. And what will the overall population of the earth be by then? I would figure probably—I haven’t looked at those projections lately, but probably 8 and a half billion, 9 billion? ERIC ST-CYR: By 2025 we’ll be over 9. JASON HARTMAN: Over 9 billion. Wow. And we’re at 7 billion now. Amazing. That is really an amazing issue. It begs the question, Eric, that, of a looming asset shortage. I remember reading a Michael Milken, Milken Institute report on this years ago, along with Jeremy Siegel, and they talked about the looming asset shortage—that there just won’t be enough assets for all these new entrants into the middle class to buy! Kind of counter-intuitive to the doom and gloom that we’re seeing out there nowadays. But your thoughts on that? ERIC ST-CYR: The big pressure is gonna be coming, we believe, on the food shortage. We don’t believe there’ll be enough ground, if you want to grow all the food that is necessary to feed such a growing population. Many reasons. First of all, oil is a limited resource, and oil price is the number one driver of food price. So if you have a limited supply [unintelligible] in food, at the same time, the price of oil is going up, and you have a change in the weather pattern. As the middle class is developing, their calorie intake is going to increase drastically. That used to, in Trinidad and Tobago, 20 years ago Trinidad and Tobago was mainly eating rice and beans. In today’s world, Trinidad and Tobago is the number one consumption of Kentucky Fried Chicken per capita. It’s a huge shift within 20 years of what the people are eating. JASON HARTMAN: Yeah. I just want to make sure people caught that with your accent, and you were moving away from the microphone a little bit. So what you’re saying is that in Trinidad and Tobago, it was largely a non-protein consumer. And now, it’s the number one consumer of Kentucky Fried Chicken? ERIC ST-CYR: Per capita in the world, yes. JASON HARTMAN: Per capita. Wow. That’s amazing. That is an amazing, if not somewhat scary, for health concerns, fact. Yeah. ERIC ST-CYR: But just so you—the impact it’s having, on the calorie intake, therefore, demand for food is going to continue to grow, and we don’t think that supply will catch up with demand. So you should see huge inflation in food price going forward. JASON HARTMAN: And food price inflation means overall inflation, probably. ERIC ST-CYR: Yes, yes. We see inflation also in commodities. If you’re looking at the year 2000, China was consuming 14% of iron and ore produced in the world. By 2010, they’re consuming 61%. Why? Because they need to build all that infrastructure to serve the population. They will not be consuming the same amount as we go forward, as the infrastructure will be in place. But then you’ve got countries like India, will have a larger population than China by 2025. So you know there’s other countries with high population that will take the slack. So, this bull market, and commodity, that started in the mid 2000s, will probably continue for the next 20 years. JASON HARTMAN: Okay, good. Population growth, huge issue. Inflation. What are your projections and opinions on future inflation? ERIC ST-CYR: Inflation will remain subdued for the next, I would expect for the next 18-24 months. There’s an interesting experience happening in Japan right now, where they’re printing two and a half times more money now in percentage of their population, than what the US has been doing recently. So, and what they really want to do is move from a deflationary environment that they’ve been experiencing for the last 25, 30 years, into inflation that’s gonna be in excess of 2%. We don’t think they’ll be successful short term, but if you keep at it, and all the central banks keep pushing money through the system, then you’re gonna have inflation. The problem with inflation is that when it starts, it’s extremely difficult to stop. And the only tool you do have to reduce inflation is to increase interest rates. Increasing interest rates with the environment that we’re in right now would be stressful for the economy. So the central banks of the world are going to face an extremely difficult time ahead of us. So we think in two years from now, we’re gonna see inflation 3, 4, 5%. But with the declared number, the CPI number, the reality is everybody knows inflation’s already been there for the last few years. JASON HARTMAN: Yeah. I say inflation now in the US, United States inflation, is about 9-10% already, and it’s been that way for about a year and a half or so. You may well disagree with me. Of course the government statistics massively malign it. But when you look at just food inflation here, health care inflation, and college tuition inflation, just those alone are phenomenal. And then you look at the past year and a half in real estate, it’s obscured, of course, by the artificially low interest rates we have. But house price inflation has been pretty dramatic, actually, over the last year and a half over many markets. Of course, all real estate is local, so when you put the markets like Michigan in there, and Ohio, and these economies that may never come back, of course that drags it down. But the places where there’s growth, and people want to actually live, inflation is pretty significant. Of course, it’s mass, because people buy houses on a payment rather than an overall price. They hide inflation in that way with artificially low rates. ERIC ST-CYR: I agree with you. The one we need to keep an eye on is job creation. Until we have wage pressure, we will have inflation, but it’s gonna be limited to some sectors. Mainly to energy and food, which do not account enough on the CPI. So, real estate is picking up, but from such a low base where it was. What you need to look at is job creation. We think that real inflation is gonna come when you have job creation. Which, you’re starting to have right now. I know the numbers on Friday were not as good as everybody was expecting. But the reality is, we lost so many jobs in the Great Recession that we’re still far behind where we were in 2007. As we’re moving toward those points, we see that inflation’s gonna come back, and that’s when the money’s gonna start—the velocity of money’s gonna start increasing quite well. JASON HARTMAN: Absolutely. So, what is your strategy for handling these three major factors? ERIC ST-CYR: Well, as inflation increases, and the population is growing—population is positive for most assets. So, as long as you [unintelligible]. The inflation will take away, and the third one, which we haven’t talked about, is the world sovereign debt has exceeded $50 trillion, and everybody now is finding an easy way to pay the debt is just to print money. So, how do you phase this, and try to take advantage of it? We essentially need to be in a solid investment, we like—talking about food, we like the farming industry. We think the farming industry is presenting great potential. Inflation will affect negatively restaurants, grocery stores, but the food coming out of the farm will be able to pass inflation down to the consumer. We like sectors such as beer. The beer industry, or the alcohol industry if you want, is growing. There’s a World Health Organization survey that was done over the last few years, it’s pretty interesting. Across the world they asked the question, over the last five years, did you increase or decrease your consumption of alcoholic beverages? And for anybody that decreased it, 15 people increased it. 15. So, consumption of beer, wine, and spirits, is increasing globally, and we see that in good times, bad times, this is going to continue. So, we like this sector. We think that a lot of people are seeing safety in fixed increments [unintelligible] buy bonds and buy treasuries. They buy emerging market bonds, especially in mutual funds on the retail side, and are taking a huge risk with their capital, and that’s probably where the next bubble is going to blow. Financial advisors in the US in particular have been pushing mutual funds made of bonds the last few years, and when interest rates are gonna start increasing, the safety nets that the investors thought the bonds, mutual funds were going to turn around, and they were going to realize 5, 10, up to 25%, everybody’s going to walk for the door, and that may have a disastrous impact on petroleum. We like gold. Gold in an interesting asset. But if you would ask me if I would prefer having $1000 of gold as an asset of $1000 of oil, I’d pick $1000 of oil any time. JASON HARTMAN: Oh, I’ve gotta say, I totally agree. We did a report on this, it’s pretty interesting, actually, where we took and we looked at all of the gold supply on the entire planet. All of the gold ever mined from the earth. And that entire supply—and I can’t remember the exact results of the study it’s about two years old, but this is something we researched and published ourselves. And then we took the value of the entire S&P, we took the value of all farmland, all agricultural land in the United States, and you could either have all the gold ever mined, or you could have, I believe—and don’t quote me on this, because I have to look at the report to remember—the entire S&P, plus all farmland in the United States. Which would you rather have? I’d of course rather have—oh, and then we took the entire GDP of the US, I believe. That was another comparison we did. And you know, which would you rather have? I’d rather have the GDP, just for a year! I mean, that’s—it’s massively more valuable. Which kind of proves, it’s a way of proving that gold isn’t a bubble. And since we published that report, gold has done nothing except decline a bit. So, maybe we were right. ERIC ST-CYR: We buy gold, but we buy it in—when an individual buys gold in the US, what they do is they buy in assets which is gold, and they sell the US dollars against it. What they are really doing, is they’re going long gold, short US dollars. We think in the four major currencies out there, which are the US dollar, the Euro, the pound, and the yen, by far the best one is the US dollar. So therefore, that trade, which is buying gold by selling US dollars, is not a good trade. We would buy—we would recommend, and that’s what we do with all our accounts, [unintelligible] buy gold in yen terms. So you are buying gold, and you’re shorting the yen, which is the Japanese currency, at the same time. JASON HARTMAN: Yeah, I think shorting the yen is a pretty good bet, don’t you? ERIC ST-CYR: And shorting the US dollar—everybody in the US hates the US dollar, they think it’s a misconception. The GDP of the US is not that bad as Europe would be, as Japan would be. So therefore, even if the situation is bad, and you’re going to that extremely rapidly, when you’re comparing yourself to others, currency’s always a game of comparison; you always have to look what your currency is doing over other currencies. It’s not an absolute trade. So therefore, I think the US dollar is in a good position, and playing gold against the US may not be the best rate right now. JASON HARTMAN: Yeah. Well, that is the good question; compared to what? Everybody likes to talk about the demise of the US, but the question is, compared to what? And the US has a pretty darn unique position. It really does. That no other country on earth enjoys. And I pick at it all the time, and I do believe America is in decline, but I think it’s going to be a long, long slow road down. Nothing as dramatic as many of the doom and gloomers would say. Your thoughts on that? ERIC ST-CYR: Well, I agree with you, if I compare it to Europe or to Japan, I do believe some countries are in better position than the US. Maybe I’m biased, but being Canadian myself, I think Canada, with a population of what, 32, 35 million? May have more natural resources than anybody else in the world. And a stronger financial system than the US. Usually it doesn’t go to the same extent as the US. That’s a beautiful currency to own, though. JASON HARTMAN: And I agree with you about Canada. Canada’s a much better managed country. There’s no question about it. But the thing the US has got, and this is where the math goes out the window. You know, everybody likes to talk about $16 trillion in debt, $60-$120 trillion in unfunded entitlements over the next 20 years or so. And I agree. You know, mathematically, it’s a disaster. And still not as bad a disaster as Europe. Well, many countries in Europe, not as bad a disaster as that. But, here’s the thing that’s different. Of course we all know the US has the reserve currency that can be disputed, and people try to change it and so forth. But, I don’t know that it’s gonna change any time soon. Far and away the largest economy, the most powerful military, to bully its way around and keep the reserve currency status, massive natural resources, excellent geography, I mean in terms of potential threats for war, the geography is great, Canada’s is too of course; it’s got the international language, 230 year brand, if you will. I’m using “brand” in quotes. Because there is—you know, every country has their brand. There’s a Canadian brand, an American brand. And so, the American brand, it’s been, although I believe it’s in decline, synonymous with—it’s been tarnished, no question about it, and I think it’s declining in value. But overall, you probably have to agree with me, Eric, and I’m not being some provincial American here—I take issue with everything America does lately. But that brand that’s 230 years old, is synonymous with freedom, innovation, stability, and opportunity for most people around the world. And yes, I think it’s going the wrong direction. But it’s gonna take a heck of a long time to dislodge those pretty valuable assets. ERIC ST-CYR: First of all, nobody’s going to try to take your place as the reserve currency. If the Euro would become the reserve currency tomorrow morning, it would go up in value by 20, 30%, that would kill their economy, that would kill our exports. So this notion that the US will lose its status as the global currency, is not going to happen. ERIC ST-CYR: If China didn’t like the US dollar, they wouldn’t peg their currency to it and cheat by having really cheap exports. JASON HARTMAN: Right, right. They artificially suppress the value of their currency to increase exports. ERIC ST-CYR: So, that’s not [unintelligible] and as they come to the debt of their own, it’s just the start. Japan, and the Japanese pension fund, because of the problem that they will be facing interest rates on 10 years in Japan, were below 0.6% last week. They pay nothing. As inflation is gonna come back, the real rate of return’s gonna be negative. So therefore, you’re gonna start to see a deinvestment of Japanese pension fund in moving into other currencies, and other fixed income. Wherever else do you think it’s going to go? If you think Japan owns a lot of debt right now, it’s just the start of it. Because for them, it’d be much more secure, and the way they’re seeing it is, well, our interest rates are not 0.6%. We were where the US is right now, 10, 20 years ago. So, we can buy that debt at 1.8, 2%, and write it down 2.6% again, in a stronger currency than ours. So, they’re just starting to buy your debt. There’s plenty of buyers out there. You’re not going to have a debt crisis, assuming you don’t create it yourself. JASON HARTMAN: It’s so interesting that you say that, because you listen to some of the doomsayers, and they say, oh, no, the treasury auctions are looking weak, and you’ve just got so many problems on the horizon, I don’t know. ERIC ST-CYR: That would be—if that would be true, interest rates would be at 3 or 4%. JASON HARTMAN: Well, yeah. But there are artificial ways to manipulate them, right? ERIC ST-CYR: Yes, but that game is played everywhere in the world. So it’s there. We need to realize, the Fed is not gonna move out, it’s going to continue to buy bonds. They may reduce the buying, but I think we’re still having the Fed buying securities and fixed income securities for the next two or three years. The problem is like a drug, how do you pull out of it? JASON HARTMAN: Exactly, it’s a very addictive situation, and a self-perpetuating machine. So, the interesting thing about alcohol stocks—that’s sort of a sad commentary, in a way. Just talking about how things get worse, and people just drown their sorrows in booze, huh? ERIC ST-CYR: Well, in a certain way it’s sad. And on the other hand, you may look at it from the perspective that the middle class in emerging markets have much more discretionary spending. Look at a country like Brazil, which was a slum 20 years ago. Which now has a really solid middle class. They will have the Olympics, and the World Cup in the next three years; there’s no way that the population down there is not going to drink more beer going forward than what they’ve done in the last few years. So therefore, ABV, which is the ticker of the largest beer company down there, is an interesting stock to own. We like something we didn’t talk about, but as the population is aging, we have a massive investment in funeral homes. That’s a sad story. That’s a boring business, but give me a business in the US that’s gonna grow by 15, 20% a year for the next 15, 20 years. JASON HARTMAN: Yeah. Pretty reliable. It really is. Unless there’s some big new discovery there. Very interesting stuff. Well, give out your website at Clover, if you would, and tell people where they can learn more about you! ERIC ST-CYR: Yes! We are at clover.ky, clover.ky. And you can reach us through email, you can reach me directly at [email protected], or you may call us at (345) 926-0005. JASON HARTMAN: Eric, thank you so much for joining us today. Appreciate having you on the show. ERIC ST-CYR: Great! Thanks for your time. ANNOUNCER: This show is produced by the Hartman Media Company. All rights reserved. For distribution or publication rights and media interviews, please visit www.HartmanMedia.com, or email [email protected] Nothing on this show should be considered specific personal or professional advice. Please consult an appropriate tax, legal, real estate, or business professional for any individualized advice. Opinions of guests are their own, and the host is acting on behalf of Platinum Properties Investor Network, Inc. exclusively.